Ole Gunnar Solskjaer was impressed by the Bailly-Lindelof defensive partnership. After a 1-0 win against Leicester City in the Premier League, Manchester United's manager Ole Gunnar Solskjaer was quick to praise Eric Bailly and Victor Lindelof's defensive partnership. 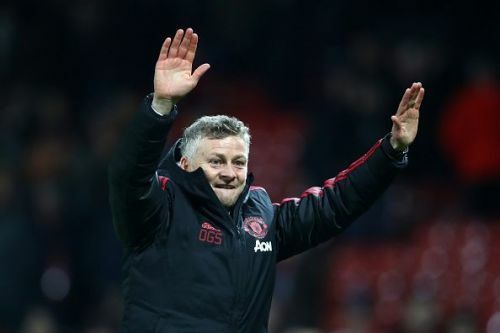 Manchester United extended their unbeaten run under Ole Gunnar Solskjaer as they beat Leicester City 1-0 at King Power Stadium in their Premier League fixture earlier today. Marcus Rashford scored the only goal of the game while the Red Devils' defence did a great job to keep a clean sheet during the game. They moved to the fifth place, one place above Arsenal, with this victory and will be looking forward to finishing in the Champions League qualification places for the next season. Speaking to journalists after the game, Ole Gunnar Solskjaer says it was fantastic to keep a clean sheet with the central defensive partnership of Eric Bailly and Victor Lindelof at Leicester. "Fantastic to have a clean sheet". "And they played well against Arsenal together. Today, we started a little sloppy - Eric knows - but they really came good." "It's a first [clean sheet] in a while, we've had three games now, Burnley, Brighton and Arsenal, where we've conceded after a couple of clean sheets, but that's important for us." "When you've got players like Rashford, Pogba, Martial, Sanchez, all them quick ones up top, you've got a great chance of winning the game, that's the foundation of a proper solid, defensive performance, and the keeper of course, two fantastic saves today as well. He's kept us in it." The Red Devils will play Fulham in the Premier League next before hosting Paris St. Germain at Old Trafford for the first leg of the Champions League Round-of-16 game.